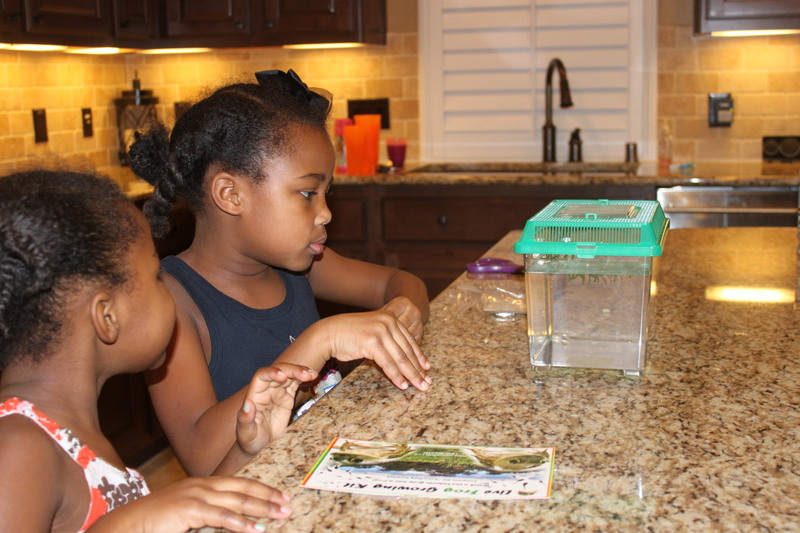 The box arrived last week, and the girls were ecstatic to receive their frog-growing kit that included a live leopard frog tadpole. 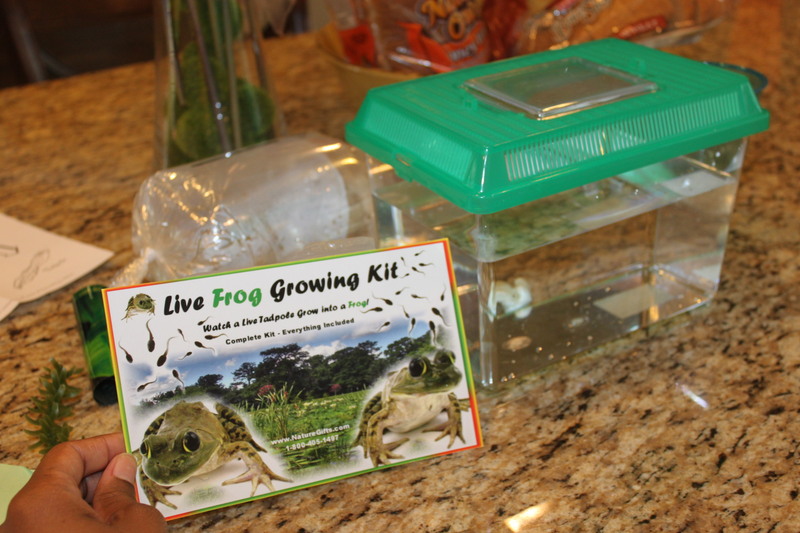 We’re still on animal habitats for science, and the frog-growing kit is paving the way for our lessons on amphibians. My enthusiasm quickly waned, however, when I learned that the frog’s water needed to be changed weekly and it takes… get this… 12 to 14 weeks for that sucker to turn into a frog. Maaan! I should’ve done some reading before I ordered this thing. I wanted a science project, not a pet. Nevertheless, “Tender Heart” (as the frog has been named) is here to stay, at least for now. P.S. This is making for a great journal project for Olivia. Each morning she wakes up and logs the tadpole’s changes/progress, including his new length (though it hasn’t changed much in just these few days! ).